No Cravings -The biggest hurdle people in recovery have are the cravings of the mind and body. Naltrexone stops these cravings, allowing for successful recovery. Effective Treatment- Dr. Joseph DeSanto will advise you whether the implant is right for you. Inpatient treatment and recovery plans are also recommended to help your chance of success. Confidential Consulation -Your first step is to reach out to us and we will handle all the rest. We can help guide you through the insurance process and get you treated quickly. 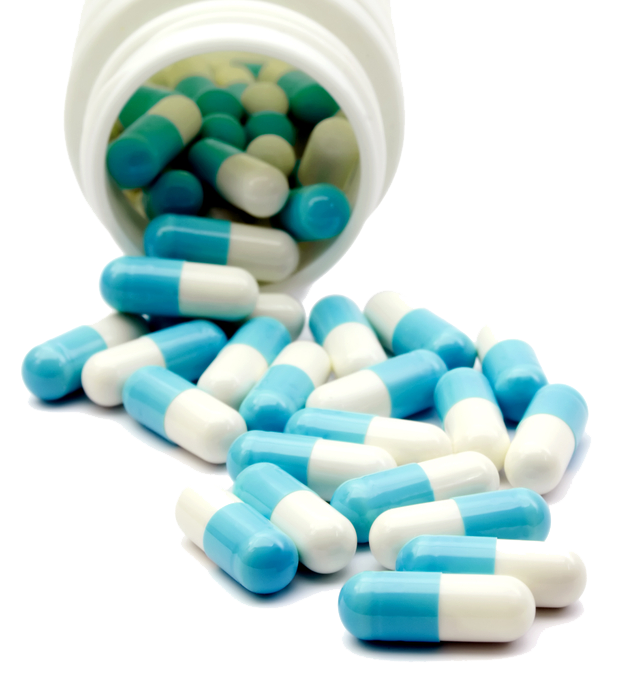 ​How is the BioCorRx® Recovery Program different? Unlike most traditional recovery programs which invest the first 30-90 treatment days in assisting a patient to deal with the physical cravings of addiction, BioCorRx® Program participants are typically absent the physical cravings on day one, and thus can focus clearly without distraction on the information, concepts, change, and education presented in the CBT program to learn and implement unrealized coping strategies and healthy behaviors. Most naltrexone providers tend to simply administer the medication and do not include a structured naltrexone behavioral program. Independent providers that use our program offer a comprehensive approach from their setting for convenience and better continuity of care. No other recovery program of which we are aware provides MAT CBT modules specific to naltrexone therapy in workbook or mobile application form along with 12 months of peer support. ​The BioCorRx® Recovery Program, a non-addictive, medication-assisted treatment (MAT) program, consists of two main components. ​The first component of the program consists of the use of sustained release naltrexone, usually in implantable form and under the direction and care of an independent licensed physician. Implant forms of naltrexone deliver the non-addictive medicine which is an opioid antagonist that can significantly reduce physical cravings for alcohol and opioids, as well as some of their effects. The second component of the program developed by BioCorRx Inc. is a proprietary cognitive behavioral therapy (CBT) program specifically tailored for the treatment of alcohol and opioid use disorders for those receiving sustain release naltrexone treatment. The behavioral portion of the program also includes overlapping peer recovery support and tracking. The Company also has an R&D subsidiary, BioCorRx Pharmaceuticals, which is currently developing injectable and implantable naltrexone products for potential future regulatory approval. 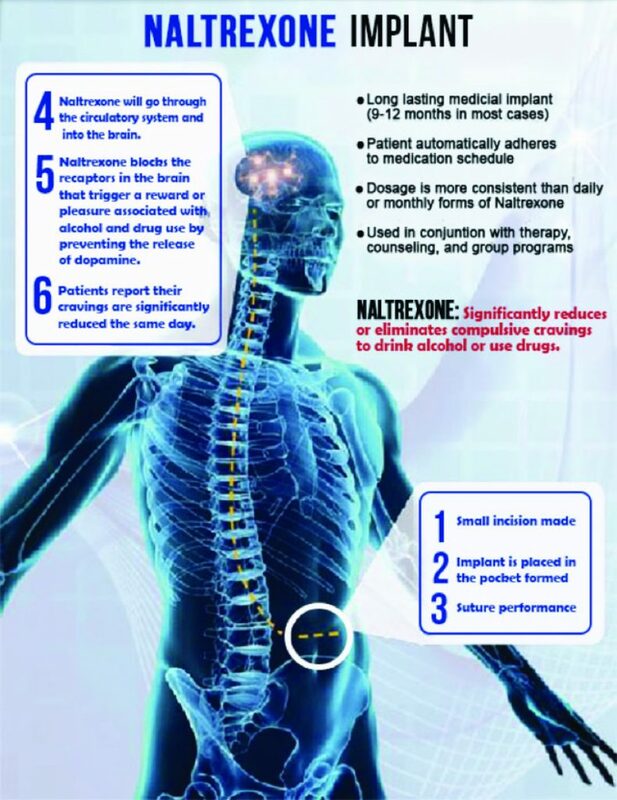 The comprehensive BioCorRx® Recovery Program blends aggressive medical management in the form of a minimally invasive procedure, involving the subcutaneous insertion of specially compounded implants (pellets) which contain the FDA approved medication naltrexone, combined with a proprietary CBT program and peer support, specific to naltrexone treatment. The program was designed for use around naltrexone in any sustained release form like implants or injectables. ​Naltrexone is an opioid antagonist that removes the “pleasure feelings” in the brain that respond to opioids and alcohol when consumed. ​In the case of the pellets, once implanted just beneath the skin in the lower abdominal area, the completely biodegradable naltrexone implant slowly releases the drug into the body over time and can eliminate or significantly reduce the cravings for drugs and alcohol in most people. It can also block the effects of some drugs like opioids. Independent treatment providers have reported minimal to no physical discomfort during the procedure from their patients. The procedure requires only local anesthetic and typically takes less than 20-30 minutes to perform. Suture removal usually occurs 7 days after the procedure. Some may require longer term medical care depending on individual situations. ​You need every advantage to stay sober. This is a step in the right direction. Dr. Joseph DeSanto is dedicated to helping his patients by determining if Naltrexone Implant is right for them. Ongoing therapy in an in-patient or out-patient treatment program is strongly recommended to help ensure successful recovery and long term sobriety. And please note that although the drug Naltrexone is FDA approved, the implantation procedure is not, and this procedure is not appropriate for everyone. 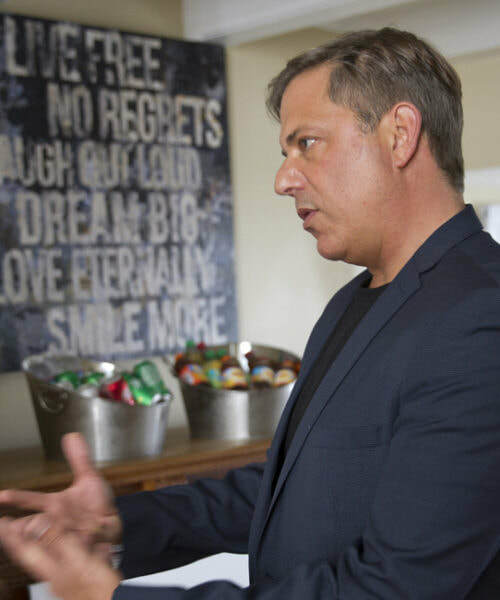 Schedule an appointment today to see if the Naltrexone implant can help you avoid cravings and obsession and stay sober so you can live the life you always wanted.